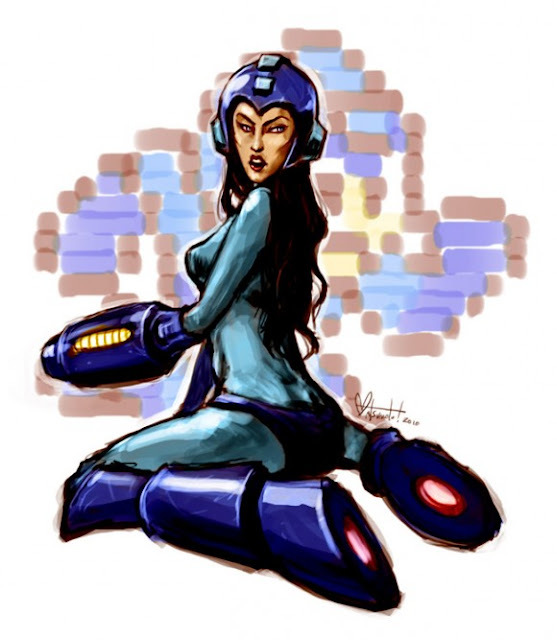 Spacecoyote (real name Nina Matsumoto) created this unusual caricature of Megan Fox as Mega Man. Nina says she was inspired to create this unique work because, "Every time I try to search for "Mega Man", Google pulls up "Megan Fox" first. Why not combine the two, then?" Check out Nina's other fabulous work either on deviantART or on her site. It's all just as wonderful.